Did you know that many experts including the American Heart Association, and most recently, the U.S Dietary Guidelines Advisory Committee, recommend consuming at least two servings of seafood a week? With Gorton's it's easy! It's Summertime and grilled foods just scream Summer. Gorton's has a variety of flame grilled seafood that makes it easy and delicious to enjoy all the health benefits of seafood. They also have a library of recipes to make it easy to keep seafood in your weekly menu! Find a recipe for Down Home on the Ranch Fish Canoes here using Grilled Tilapia. It was the Grand prize winner of the Recipe Renovation Contest submitted by Janice E. of Charlotte, NC. Or how about Grilled Shrimp with Tropical Fruit Salsa? All varieties naturally contain Omega 3's, are an excellent source of protein, and contain 80-130 calories per serving. Research shows that omega-3 fatty acids reduce inflammation and may help lower risk of chronic diseases such as heart disease, cancer, and arthritis. Omega-3 fatty acids are highly concentrated in the brain and appear to be important for cognitive (brain memory and performance) and behavioral function. In fact, infants who do not get enough omega-3 fatty acids from their mothers during pregnancy are at risk for developing vision and nerve problems. Symptoms of omega-3 fatty acid deficiency include fatigue, poor memory, dry skin, heart problems, mood swings or depression, and poor circulation. 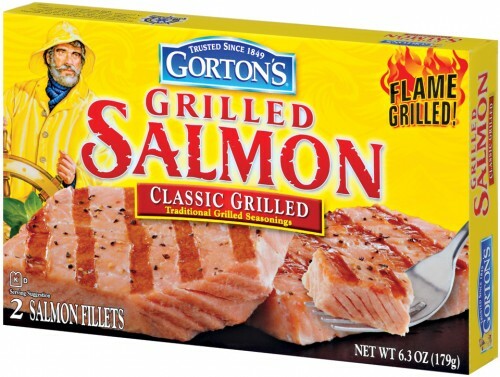 So start a new healthy tradition of Fish Friday's and let Gorton's help you keep it fun with new recipes! 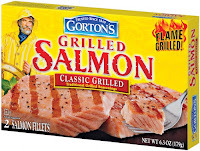 Three winners will receive 2 coupons for any Gorton's seafood Item ~ Yummo! 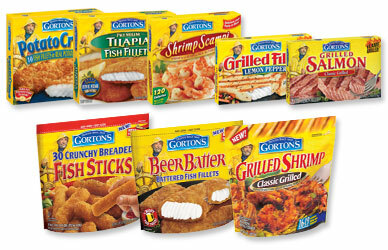 *Follow me @jamaise at Twitter & Tweet this : RT @jamaise #GIVEAWAY #WIN Gorton's~ Frozen Seafood ~ GIVEAWAY!!! ~ 3 Winners! ~ http://bit.ly/mFsAWT Ends 6/25 tweet each day for one entry each ! 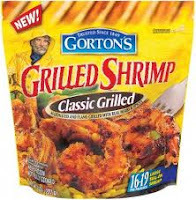 Disclaimer: Gorton's Seafood provided me with all information and product to review. I was under no obligation to review it if I so chose. Nor was I under any obligation to write a positive review or sponsor a product giveaway in return for free product. I love grilled shrimp. I follow you in GFC. I'm a gfc friend and I like to make a scampi with tortellini and veggies pasta salad--yummy! I follow and receive your email. we eat seafood all ways and LOVE Gorton's! Absolutely love my seafood fried! I follow you via GFC (Fawn Hammons) and we love to grill our seafood. We love grilled fish and french fries. fried is the way I love seafood prepared. I like Gorton's Seafood on fb as latanya t.
I love shrimp scampi and fried fish! I like Gorton's on facebook! I like Gorton's on facebook entry 2! I like Gorton's on facebook entry 3! I like you on facebook entry 2! We like to cook salmon on the Traeger. We like garlic fish with rice. I'm now following via GFC and I like fried fish!! I like my fish lightly breaded with lots of lemon juice & salad! I follow you via GFC as onesockmissing. I love salmon grilled or blackened with Cajun spices. I sent you a request on FB. I sent you a request on FB #2. I follow you on Twitter as playingturtle and I tweeted.